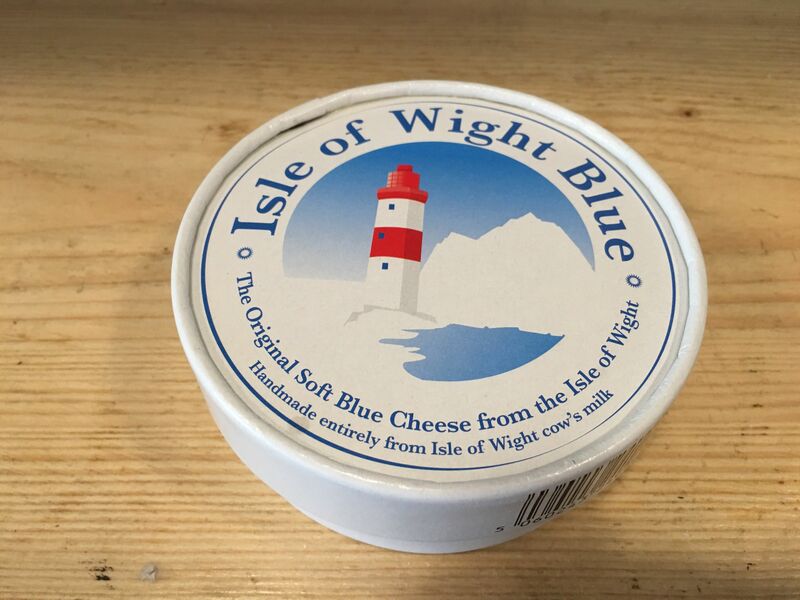 Isle of Wight Blue was first made in 2006 and since then has gone on to win multiple awards. 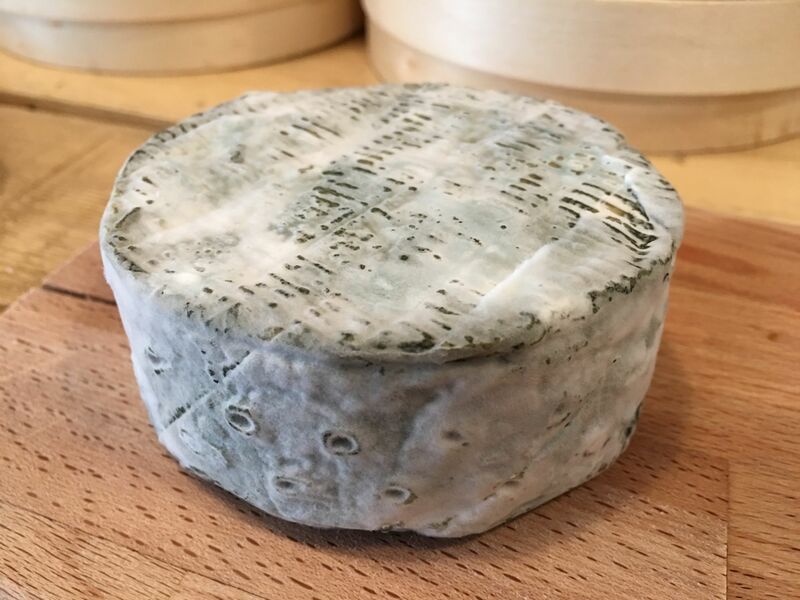 It is a naturally rinded soft cheese with an initially mild blue flavour. However, as the cheese matures, it packs much more of a punch. 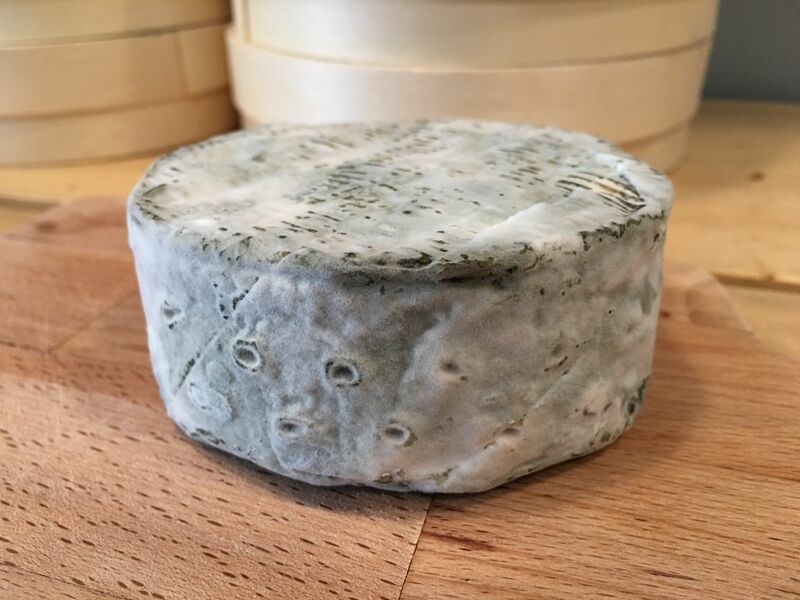 The cheese is covered with beautiful green, blue and grey moulds which add to the character of the cheese, both in flavour and appearance and a whole little cheese looks great on a cheeseboard. Once opened, the cheese is still very pleasing to the eye, with the sporadic blue patches on the creamy, yellow cheese working well together. This is a cheese that really benefits from some time out of the fridge so allow at least an hour at room temperature before eating. 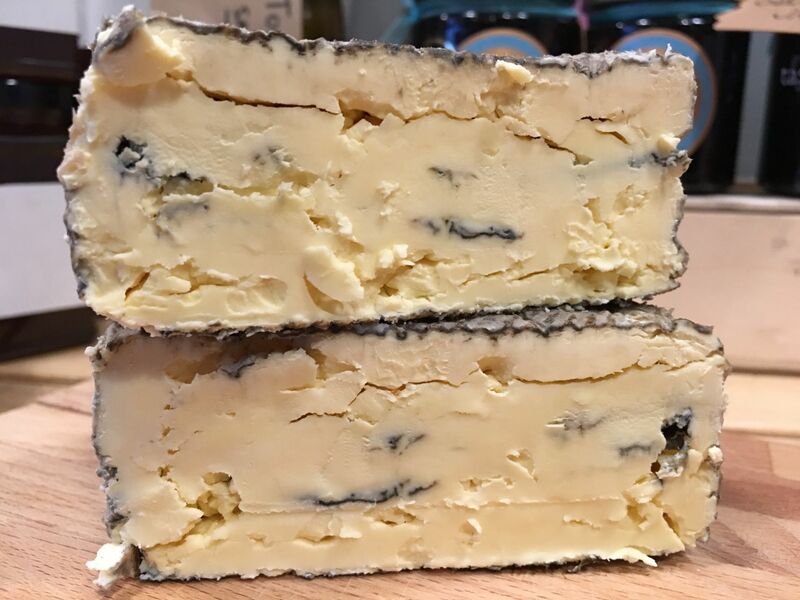 A nice porter or stout is a great accompaniment for this cheese but on some occasions we also like a slightly sweet wine with Isle of Wight Blue. Isle of Wight Blue is rapidly becoming our most popular cheese online and we constantly have to increase our order size. It's popularity is in part due to it regularly featuring on TV and in print with it being praised by many celebrity chefs. Deliciously smooth and creamy blue cheese from Knutsford, Cheshire.